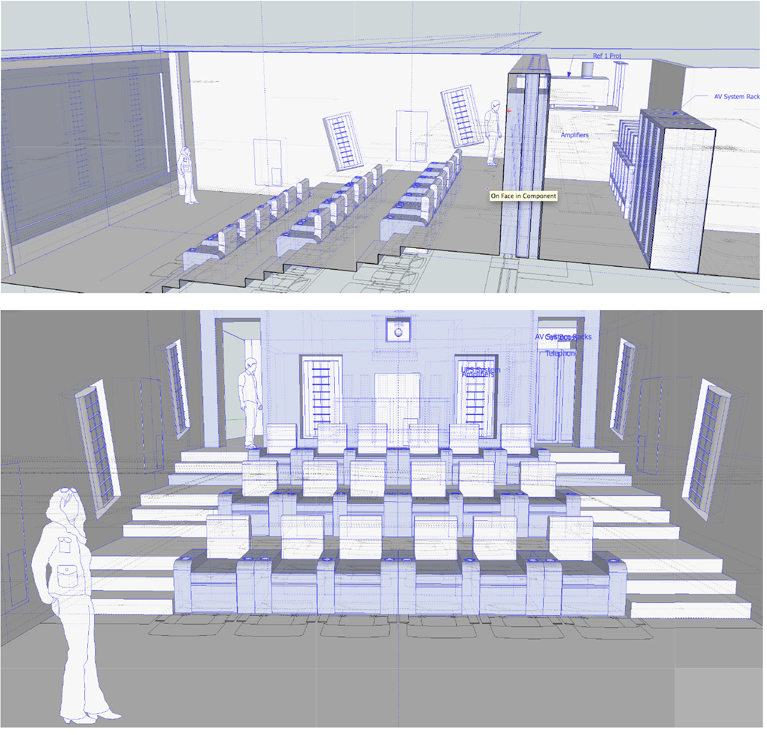 With client expectations defined, we create a 3D model of the theater for acoustical analysis and detailed plans for design team coordination. Preliminary engineering studies are completed for determining sound isolation requirements, acoustical behavior, and positioning of speakers, listener, projector, and screen. The private theater functional concept is presented to the design team in an online meeting where all can see the room in 3D views. We solicit the team’s feedback, make any necessary adjustments and submit the ideal finish room size and house plans for designers to proceed with the interior design.